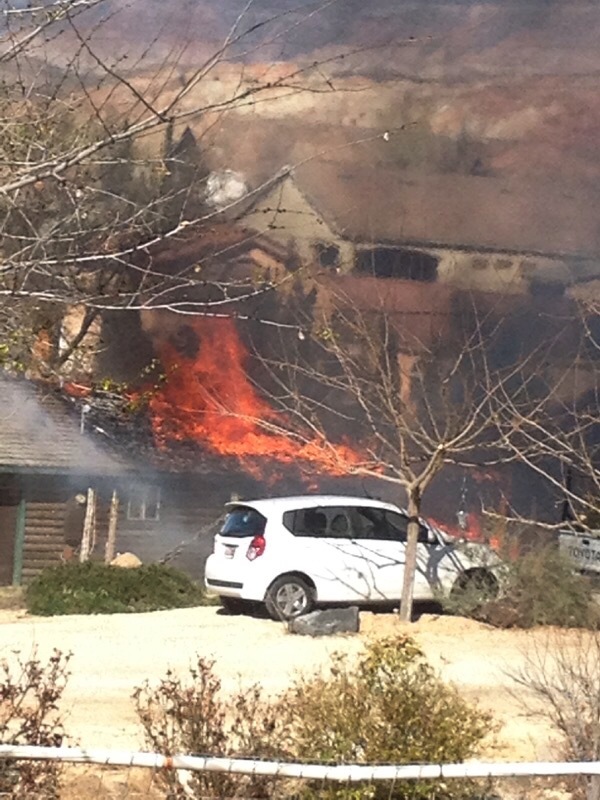 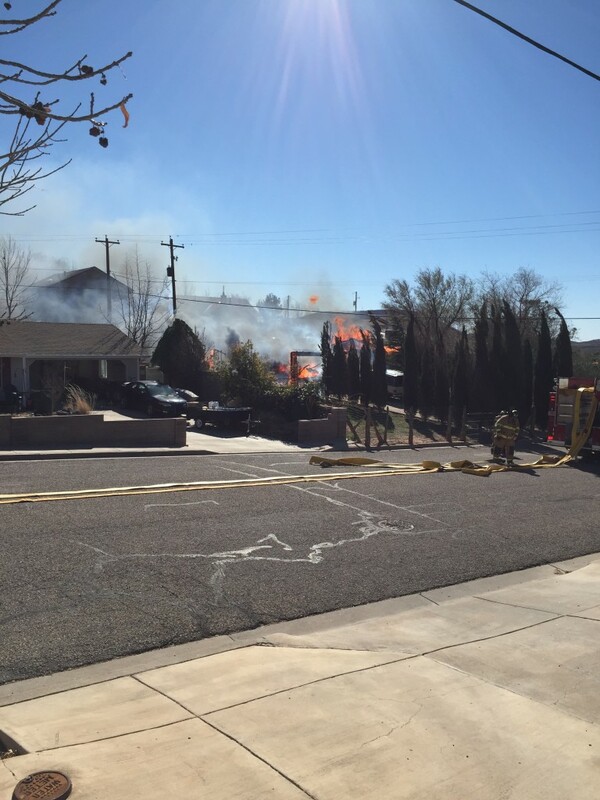 LAVERKIN – A fire tore through a LaVerkin home Tuesday afternoon, destroying the home, a garage, three vehicles and a power pole, while threatening surrounding homes and knocking out the power for many LaVerkin residents. 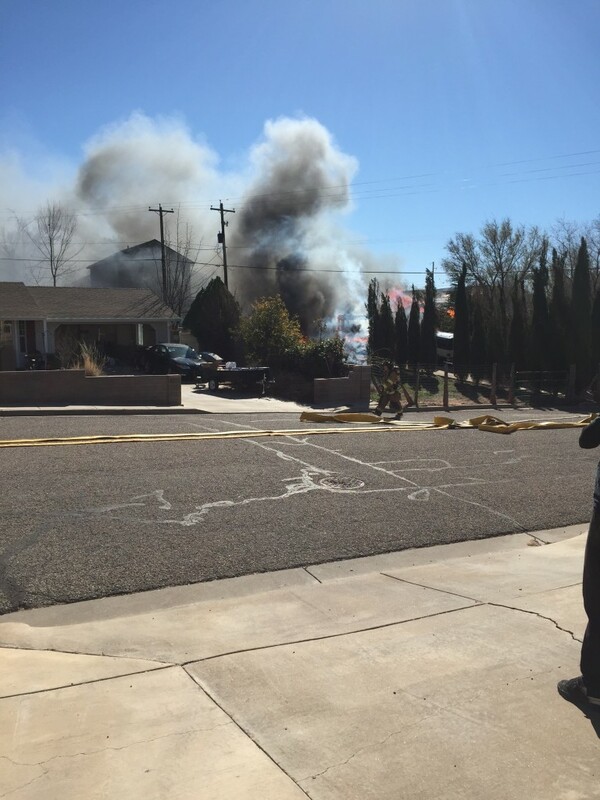 The blaze, which started in the garage of a home located at 341 W. 600 North about 2:35 p.m., quickly spread throughout the entire residence, Hurricane City Public Information Officer Brandon Buell said. 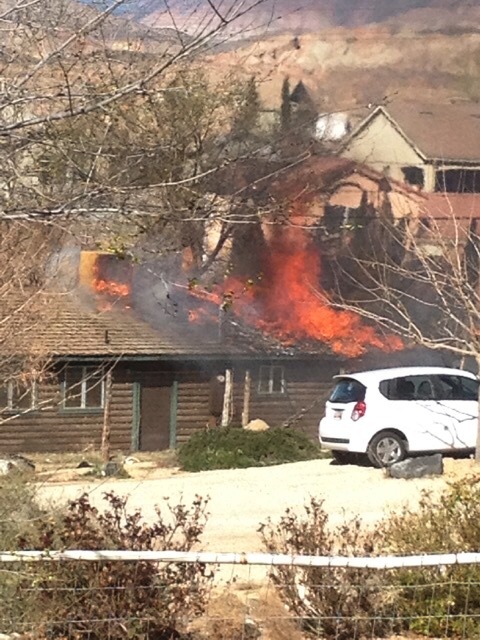 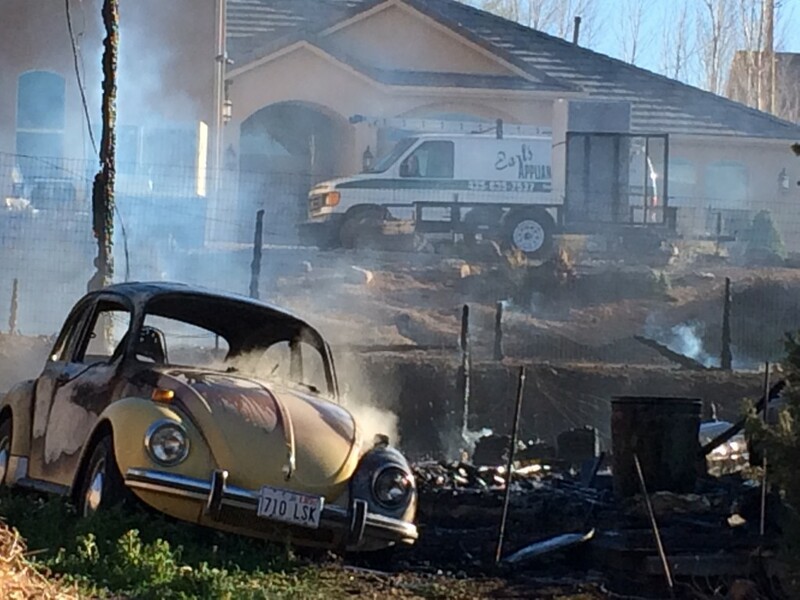 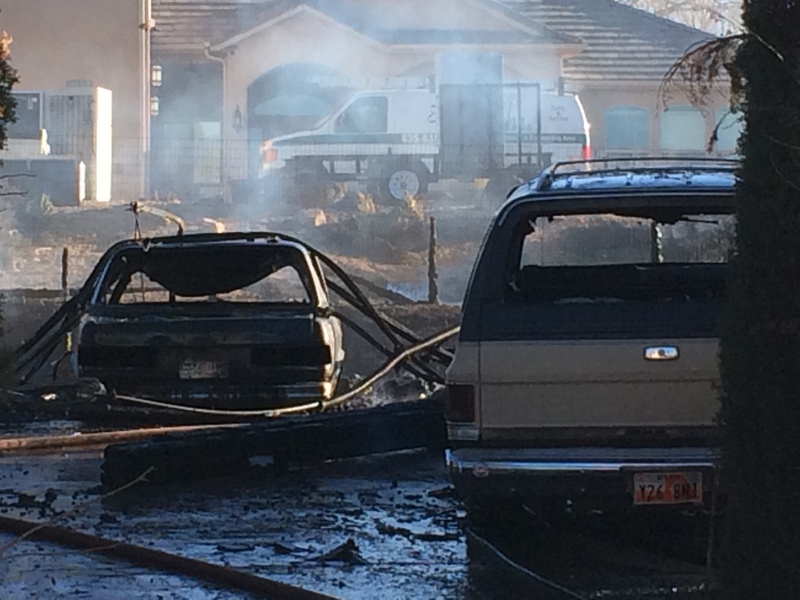 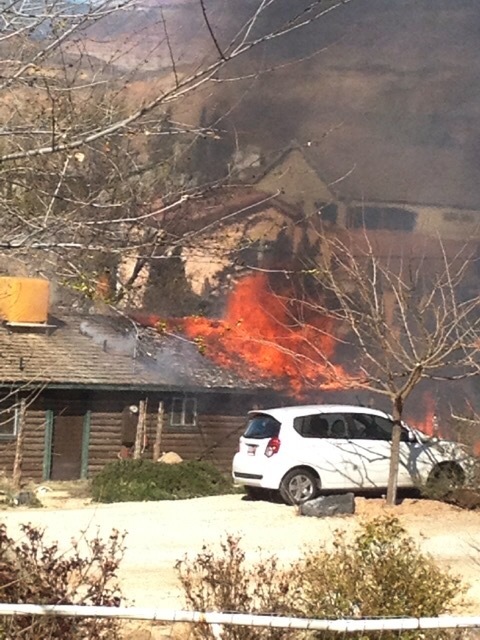 “I heard two loud pops so I went running out and saw his garage on fire,” Kim Wright, a nearby neighbor said. 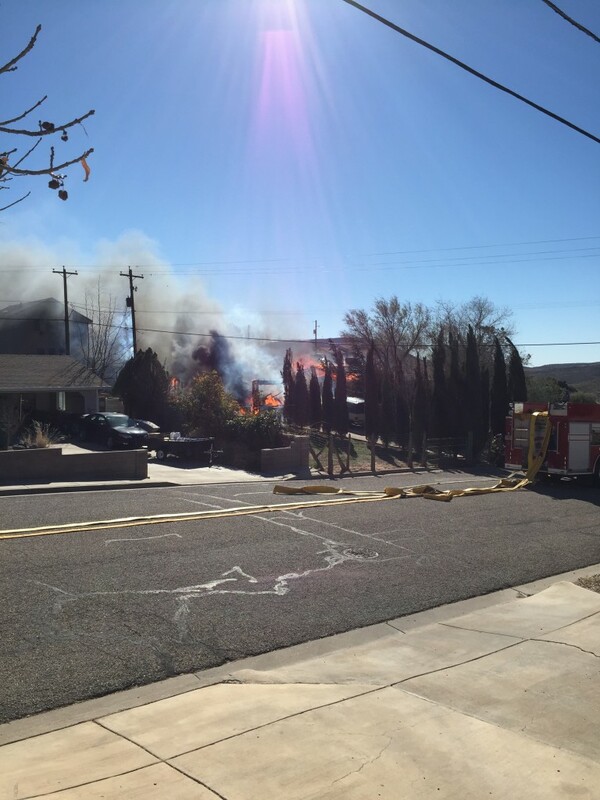 Chrystal Lauritzen, whose home neighbors the burning structure to the south, said she first thought her own home was on fire. 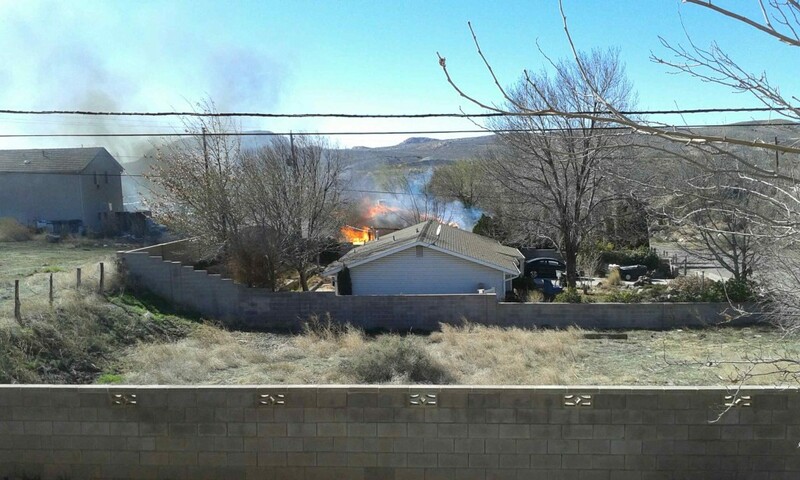 When the Hurricane Valley Fire Department and LaVerkin City Police Department responded to the scene, Buell said, the home was fully engulfed in flames. 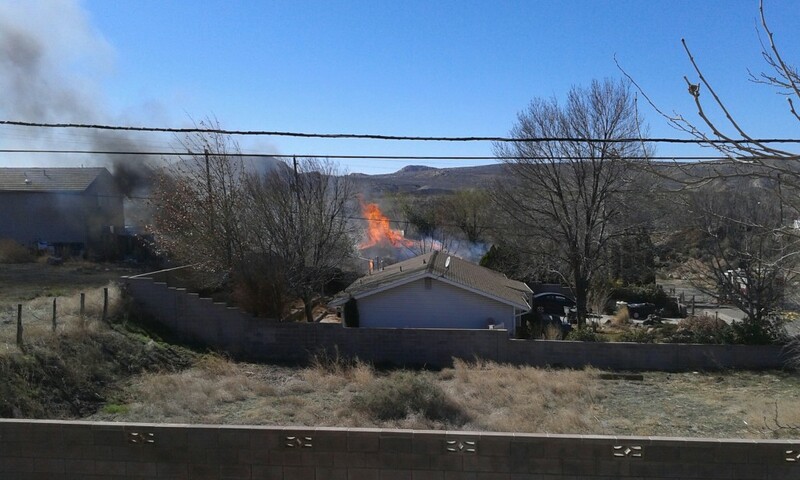 “It was extremely windy out here, with gusts of approximately 30 mph pushing the flames back towards the houses around this structure that was already engulfed,” Buell said, adding that the high winds caused the flames to move south and east very quickly. 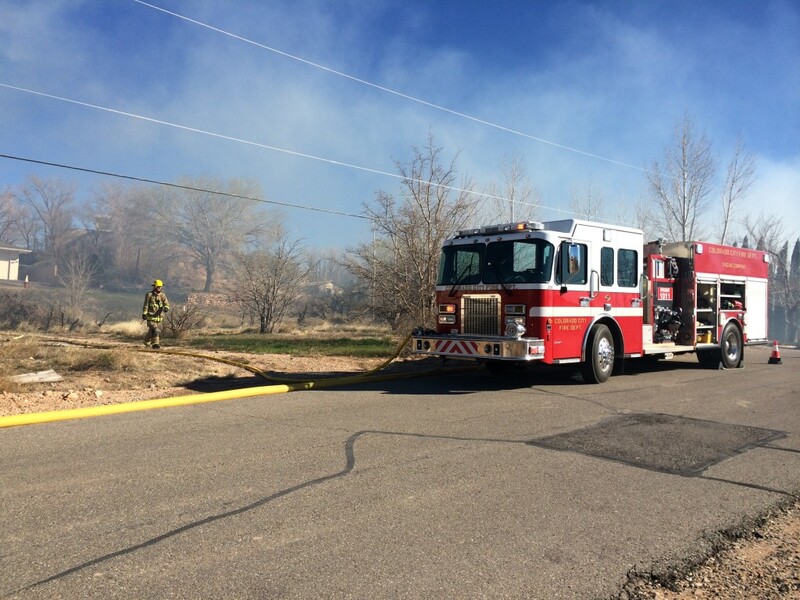 As the Fire Department arrived, he said, they immediately went in defensive mode to protect the surrounding structures and overhead power lines. 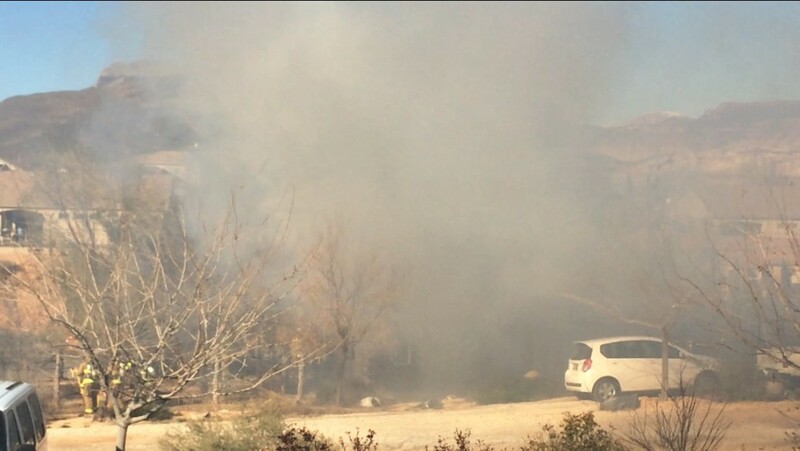 Embers from the fire traveled several hundred feet to the south, setting a cotton tree in the yard of a nearby home ablaze, but firefighters were able to extinguish the flames before they spread. 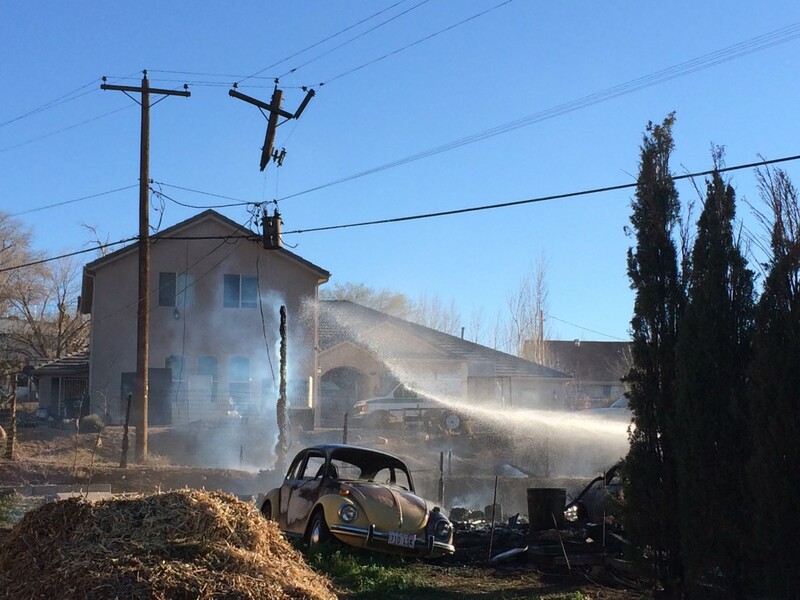 As the fire moved through the yard of the burning home, it made its way to a nearby power pole, destroying the pole and power transformer and causing the power to go out in the area for sometime, Buell said. 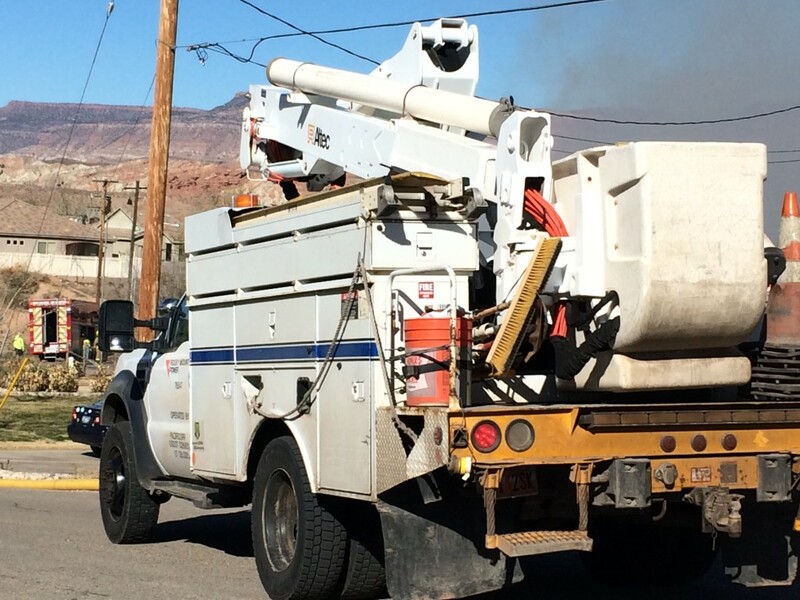 Rocky Mountain Power responded to the scene to work on restoring the power, while Questar Gas responded to shut off the gas in the area. 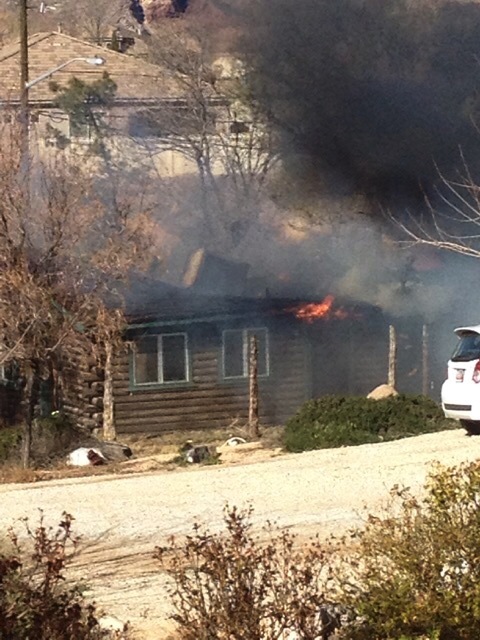 While the home is a total loss, Buell said, the occupant of the home was able to get out safely, along with his dog. 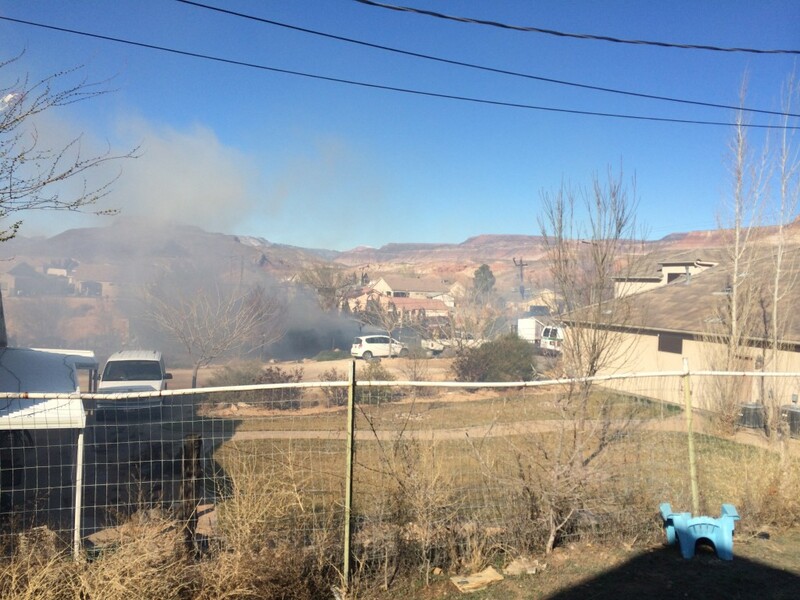 No injuries were sustained in the fire and Red Cross was called to assist the family. 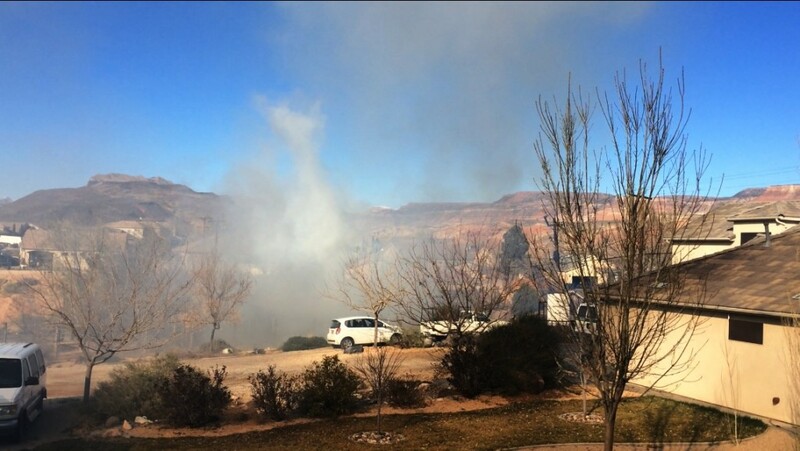 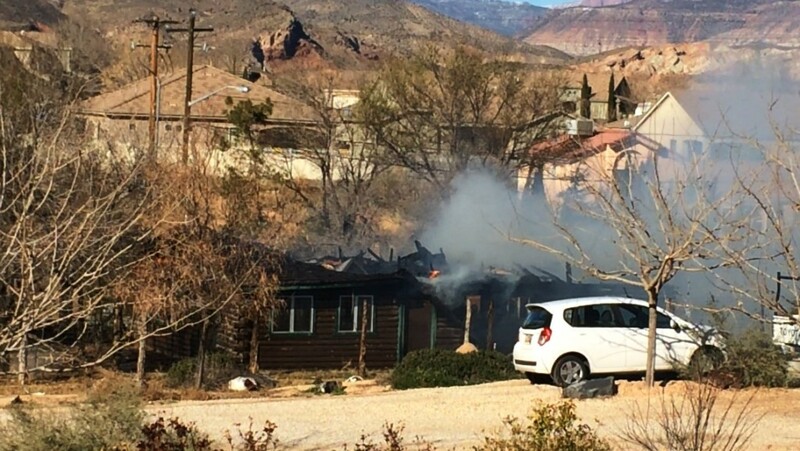 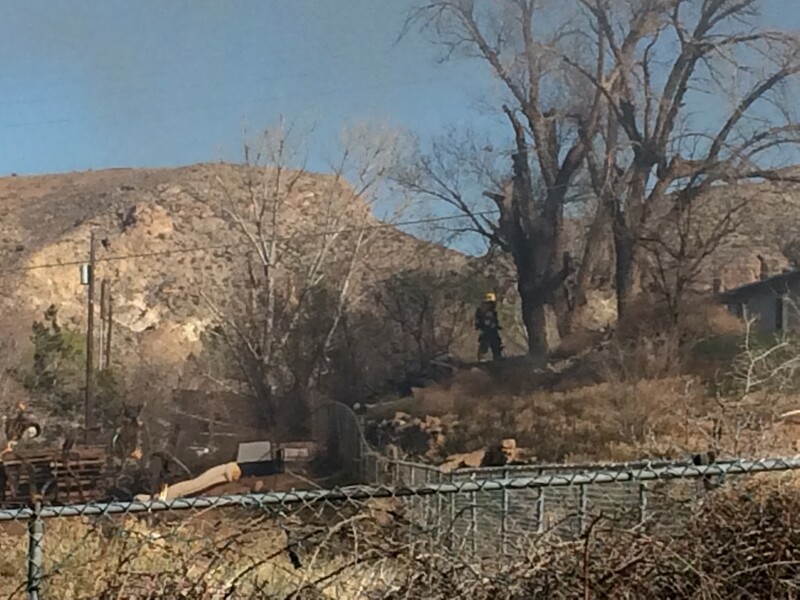 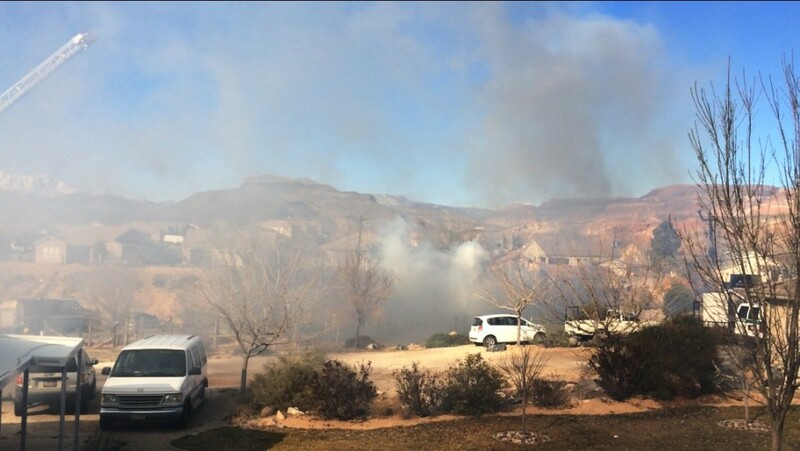 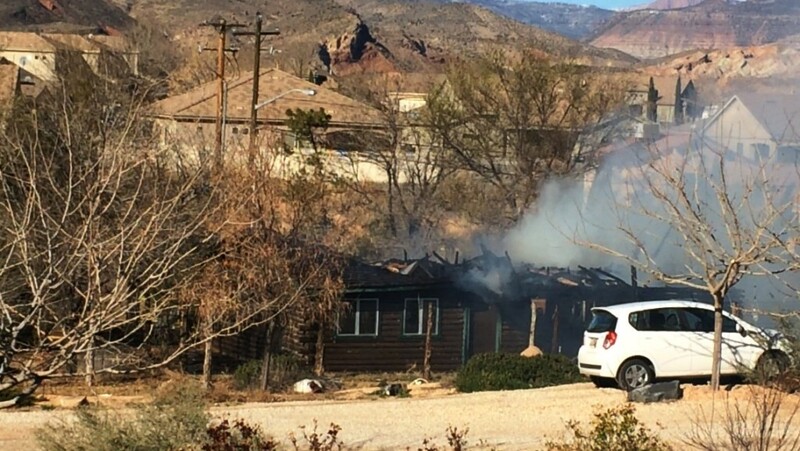 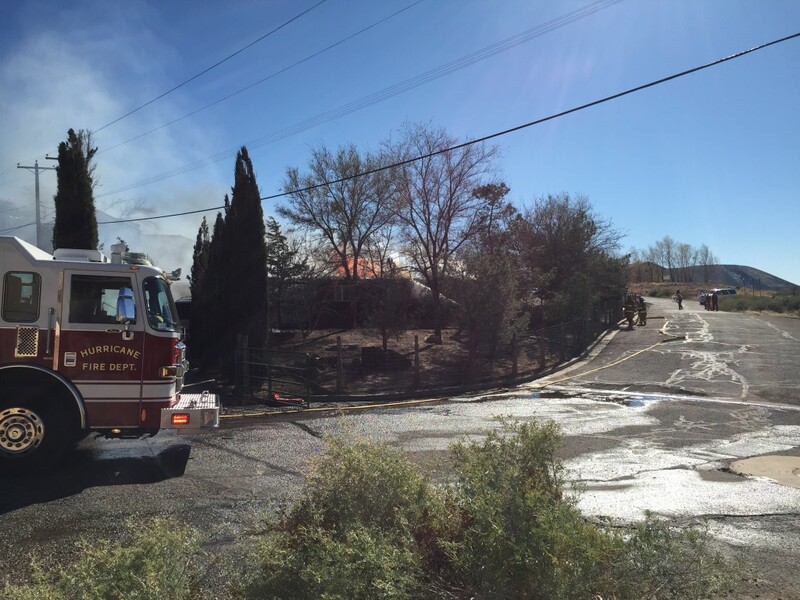 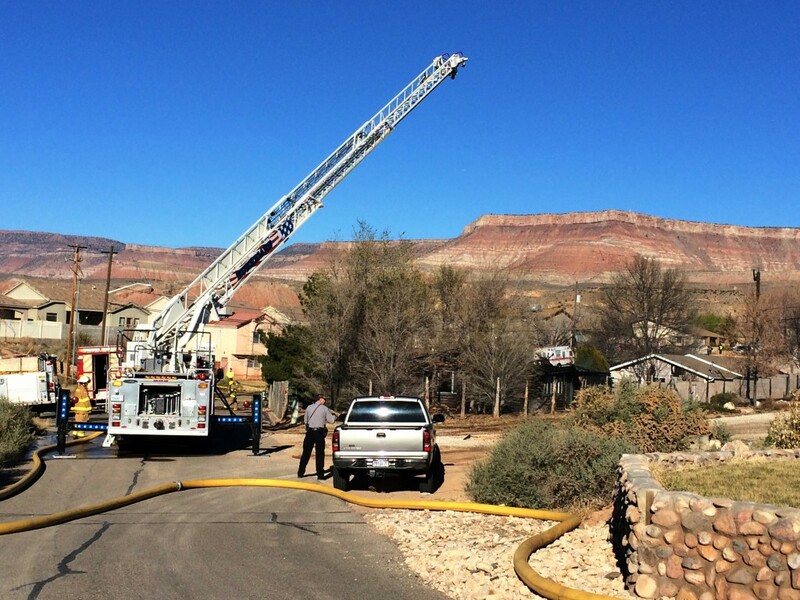 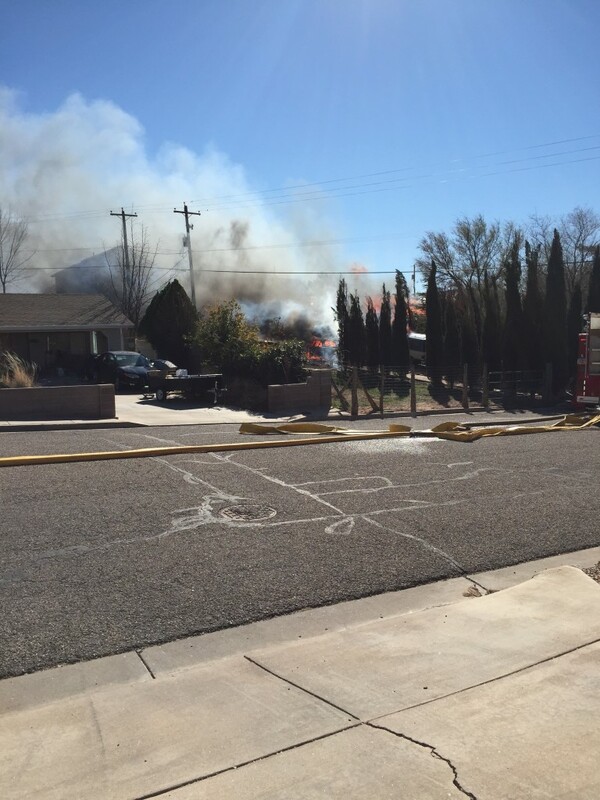 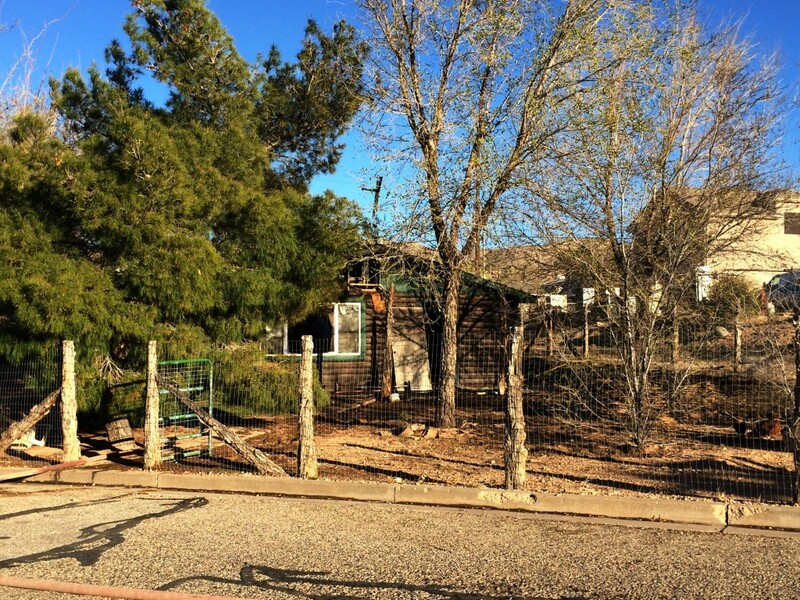 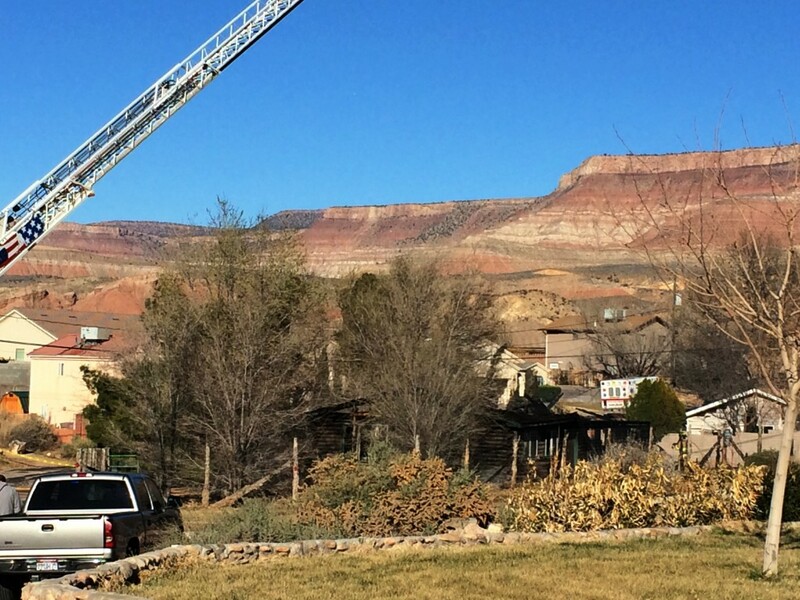 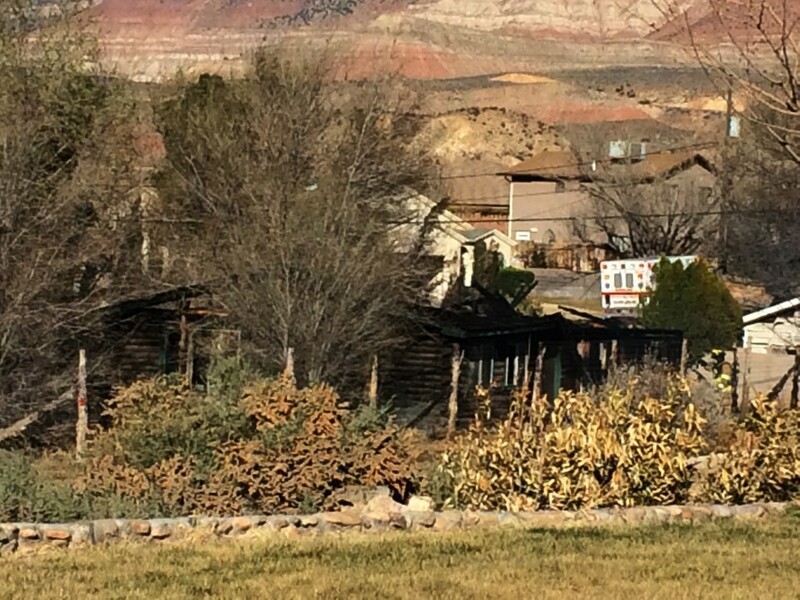 Washington City and Hildale City Fire departments also responded to the scene. 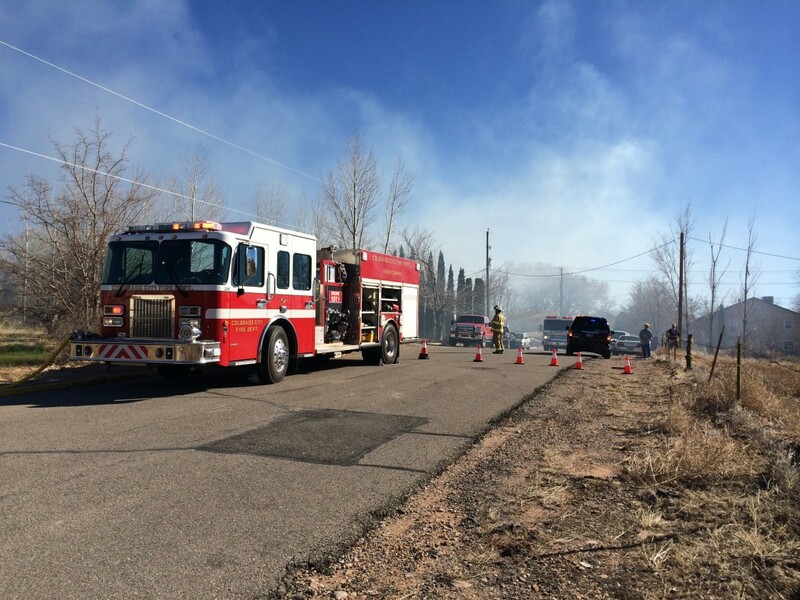 A total of eight apparatuses and 28 firefighters battled the fire, Buell said. 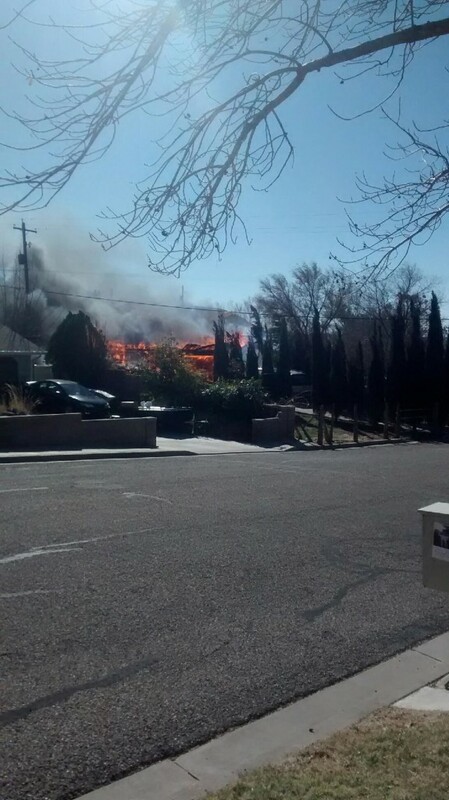 As this report is published, the cause of the fire is unknown, Buell said, and an investigation is being conducted. Fire crews remained on scene to mop up any remaining hotspots.